Create Maximum Shine in Minimum Time. Pearl® innovative range of waterless car wash products successfully enable all customers and their companies to very quickly and efficiently clean, highly polish and wax an entire vehicle exterior and interior to instant showroom finish any time, any place and anywhere whilst helping to protect the environment. Cleans, details and premium wax protects all exterior hard surfaces; paintwork, fibreglass, alloys, plastic, chrome and glass to deliver instant wax protected finish.A water based product containing the latest cutting-edge Nano technology and Carnauba wax which is the world’s hardest natural protective wax together with UV screen protectors. 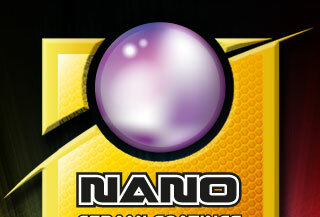 Free from all abrasives, phosphates, bleach, solvent, petroleum, acids, VOC’s and any other harsh chemical ingredients, making Advanced Ultra Nano user, vehicle and environmentally friendly. Can safely be used on dry or wet surfaces, in direct sunlight and shade to remove light oxidation, light water spots, traffic film and delivers a deep mirror-gloss premium waxed finish, repelling water and build-up of dirt. 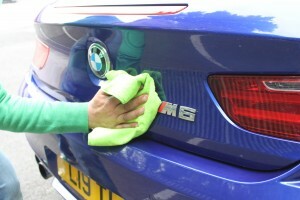 Working around the vehicle from top to bottom and a panel at a time, simply lightly mist spray Advanced Ultra Nano onto target surface and the leading folded microfibre cloth, gently wipe surface lifting liquefied dirt from vehicle and then using a second microfibre cloth buff to a brilliant wax protected shine. 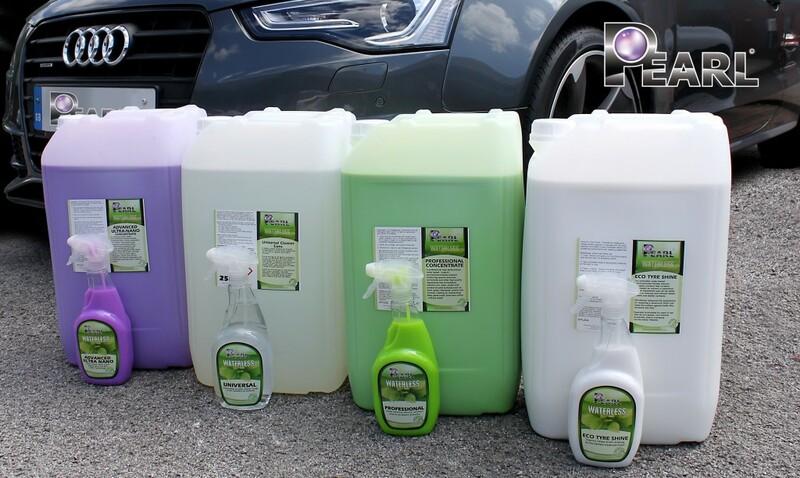 Perfect for new and older vehicles – use as a premium weekly maintenance/cleaning product ideal for re-cleans, sold units, retail parks and showroom vehicles. Available in 1:9 Super Concentrate (1-part concentrate mixed with 9 parts water makes 10 Litres of ready to use which has an average usage of 6 cars per litre). Cleans, details and highly polishes all exterior hard surfaces; paintwork, fibreglass, alloys, plastic, vinyl wraps, chrome and glass to deliver instant showroom finish. 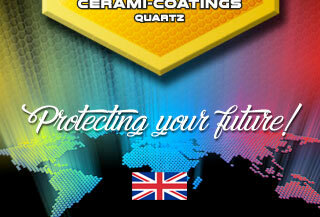 Water based product contains highest grade polymers, wetting agents and lubricants. Free from all abrasives, phosphates, bleach, solvent, petroleum, acids, VOC’s and any other harsh chemical ingredients, making professional extremely user, vehicle and environmentally friendly. Perfect for new and older vehicles – use as a weekly maintenance/cleaning product ideal for re-cleans, service wash, pitch, retail parks and showroom vehicles. Working around the vehicle from top to bottom and a panel at a time simply lightly mist spray Professional onto target surface and leading folded microfibre cloth, gently wipe lifting liquefied dirt from vehicle and then using a second microfibre cloth buff to impart an instant mirror gloss finish. Available in 1:9 Super Concentrate (1-part concentrate mixed with 9 parts water which makes 10 Litres of ready to use with an average usage of 6 cars per litre). A unique multi-surface cleaner which is extremely tough on ingrained substances but gentle to surfaces, the user and the environment. Cleans, details and revitalises exterior hard and soft surfaces including; paintwork, fibreglass, alloys, plastic, vinyl wraps, chrome, glass, soft tops, vinyl and rubber for localised spot cleaning to tackle the heavier duty requirements such as removing brake dust, bird lime, tree sap, ingrained insects and engine degreasing. Cleans, details and revitalises interior hard and soft surfaces including; carpet, leather, fabric, cloth, vinyl, glass and plastic trim. Lightly mist spray target surface, allow a few seconds for activation then simply lift dirt and ingrained substances off using a microfibre cloth and buff any excess residue to leave spotlessly clean surface. Water based, fully biodegradable solution that contains only the highest quality ingredients including coconut oils which help to recondition and revitalise surfaces. Free from all abrasives, bleach, solvent, petroleum, acids, VOC’s and any other harsh chemical ingredients, making Universal completely user, vehicle and environmentally friendly. Available in 1:20 Super Concentrate (1-part concentrate 20 parts water which makes 21 Litres of standard ready to use formulation for everyday cleaning tasks with the unique flexibility to increase or decrease cleaning power with dilutions 1:10 heavy duty and 1:40 very light duty). 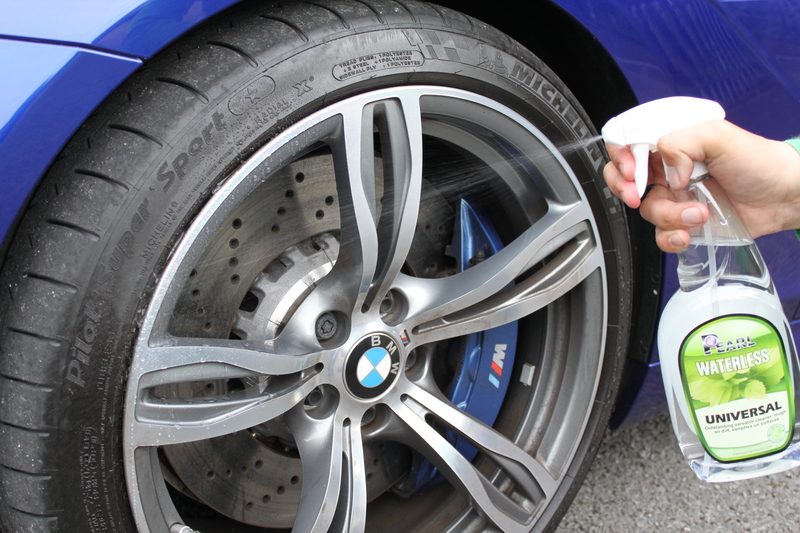 Tyre and Multi-Trim Dressing which is extremely quick, easy and safe to use; clean, polish and detail exterior and interior surfaces, leaves an outstanding non-greasy finish. Water based silicone emulsion which unlike many traditional tyre dressings Eco Tyre Shine can also be safely used internally and externally as a trim dressing, revitalising rubber, plastic and leather delivering a superior showroom finish. Revitalises, shines and protects rubber tyre walls and with unique versatile capabilities that detail rubber hoses, wiper blades, leather and plastic trim. 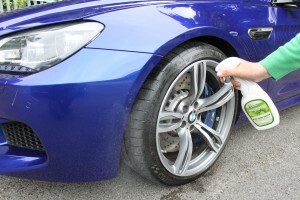 For tyres simply mist spray evenly onto tyre wall in a sweeping motion, leave to air dry. On exterior and interior surfaces; rubber hoses, plastic, leather – simply mist spray onto target surface or on to folded microfibre cloth, wipe and leave to dry. 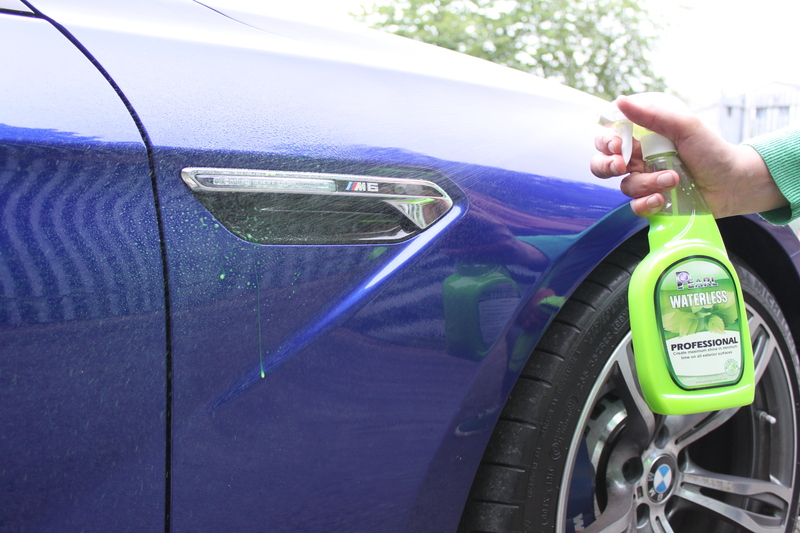 Over-spray is easily cleaned by simply wiping with a microfibre cloth and leaves an outstanding gloss shine on alloys that helps protect and prevent brake dust build up. Pleasant fragrance product which dries completely transparent, smooth and does not sling up onto paintwork when vehicle in motion. Free from all abrasives, bleach, solvent, petroleum and any other harsh chemical ingredients, making Eco Tyre Shine extremely user, vehicle and environmentally friendly. Available in ready to use. (Average use of 50 ml per 4 tyres with additional usage through unique capabilities on other surfaces). Unique radial-edged 40 x 40 cm microfibre cloth with 380 GSM weight together with superior tight weave, double stitching and each cloth contains over 90,000 fibres per square inch. Polish, buff, clean and shine with our outstanding professional microfibre cloth that has proven commercial capabilities for detailing cars, motorcycles, caravans, boats and aircraft. Complete versatility; use dry for detailing, polishing and buffing and simply dampen for those tough clean up jobs. Absorbs higher amounts of water than normal cloth towels with a thicker and softer weave, delivering an ultimate streak free, lint free first class performance and removes excess wax without scratching. Excellent for trapping dust, cleans whilst it dries the surface and polishes to a high gloss shine. Available in Blue and Green vibrant colours which are both fully machine or hand washable and can be simply washed and dried for perfect economical reuse time and time again, retaining and achieving same commercially proved quality performance. 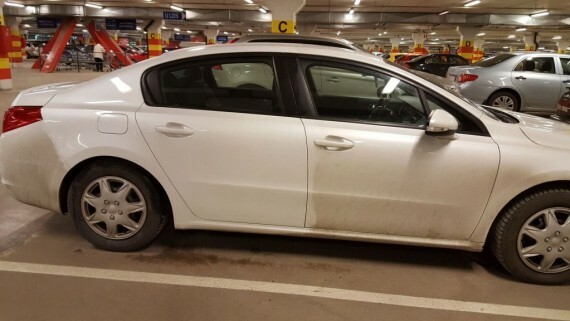 How Can Pearl® Waterless be beneficial? 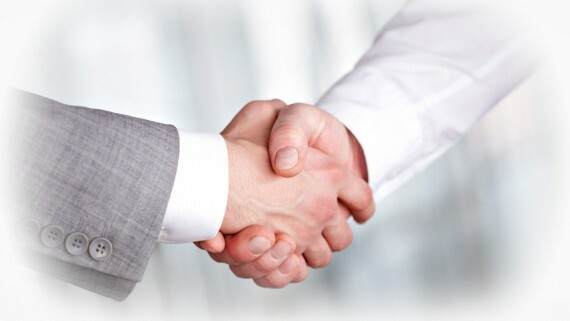 Our unreserved commitment is to provide you with all the relevant information and support you need regarding our products and services which will hopefully assist in presenting to your clients, local authorities and government bodies the resounding benefits and outstanding opportunities that are available with Pearl Waterless Car Wash products. Versatile – A mobile waterless service using the high performance of Pearl products enables the user to deliver unrivalled quality any time, any place and absolutely anywhere. With minimum products and equipment, a busy mobile valeter can simply arrive on site, locate the vehicle to be cleaned and without disturbing the customer for a water source, power point or vehicle movement, can carry out a showroom finish and leave without creating any mess, fuss or waste. 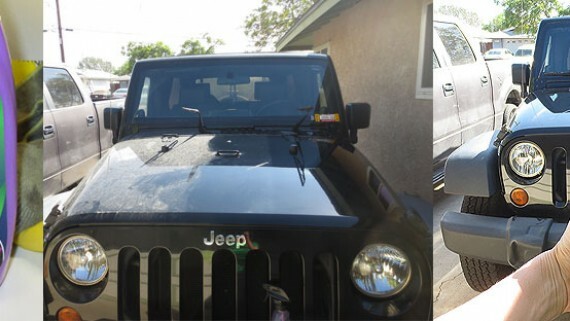 The service and results are astounding without causing any disruption or pollution to the surrounding environment, over-spray to neighbouring vehicles or requiring precious time allocation from the vehicle owner. Rewarding – Combining a fast and versatile service means more services in less time, without compromising on that all important quality of finish and saving 1000’s of gallons of water. 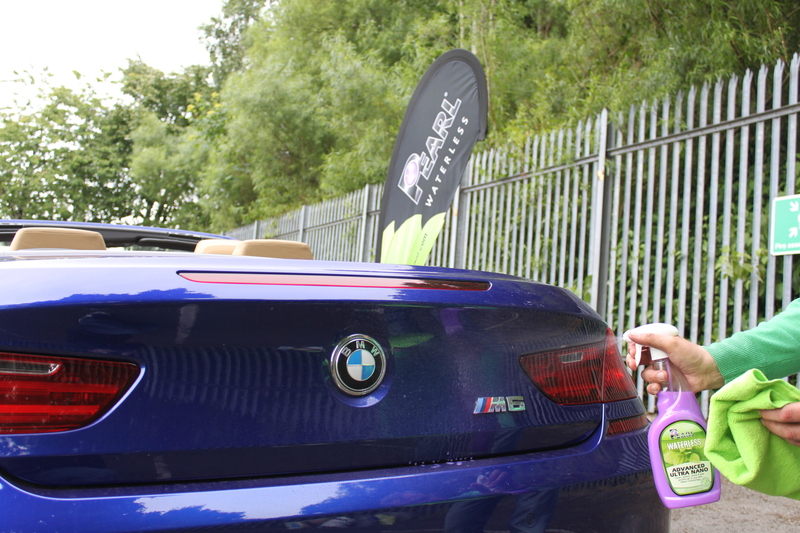 Quality – Premium wash, highly polished and wax protected all-in-one with unrivalled performance delivering a level of quality that ensures every service will attract a further booking and from onlookers presenting potential future customers. Economical – There is no expensive equipment required to carry out a waterless service and completely eliminates the requirement of large vans to transport 1000 litre water tanks, pressure washers and blow driers that also require vast water resources, electricity, kerosene and are heavy or impractical to transport or require a secure static site combined with a waste water interceptor. With Pearl waterless products simply spray, gently wipe lifting liquefied dirt from vehicle using a microfibre cloth and buff with a second microfibre cloth to deliver a brilliant showroom shine.No mess, no fuss, no waste and no impact on the planet we all live… Shine out from the crowd with Pearl® waterless car care products.We hope this information has been helpful and it will be our great pleasure to have the opportunity to work with you and support your esteemed business as your chosen manufacturing partner. To find out more interesting ecological facts and information about our company and industry leading products, please kindly follow our link to Pearl® Official Newsletter or directly contact our Pearl® Global Sales Team sales@pearlgloballtd.com where we will be delighted to answer all your questions.